Project surface area 24.000 sq.m. 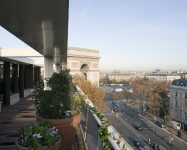 Located in Paris 15, the building is close to famous landmarks in Paris such as the Ecole Militaire, les Invalides, the quai Branly museum and the Eiffel Tower. 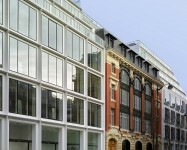 The property benefits from a pleasant commercial, tertiary and residential environment. It is also close to a number of parks. 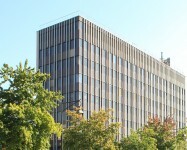 The building was built in 1966 by the architects Raymond Lopez (1904-1966) and Fernand Leroy and completed by Francis Leroy and Henry Pottier. The property is built on a large land plot of 6,300 sqm in the heart of Paris 15 with a double address: 112/114 avenue Emile Zola, and 52/56 rue Violet. Released in November 2017 by its historic occupant (SMA), SFL intends to restructure the property as Biome : a new major business centre in the west of the capital.